Besmart-Digbori, E. D. (2011). 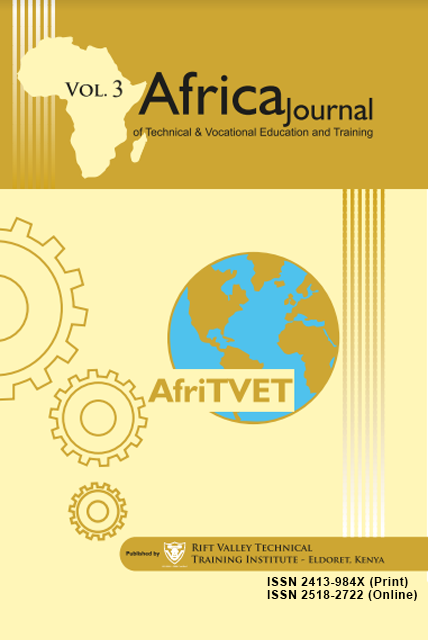 Adequacy of technical education teachers and machinery for the teaching and learning of woodwork: a case study of a south- southern Nigerian technical college. Proceedings of the 1st International Technology, education and Environment Conference. African Society for Scientific Research (ASSR). Chinedu, C. C. & Olabiyi, O. S. (2015). Empowering Nigerian youth through technical vocational education and training for enhancing national security. Journal of Technical Education and Training, Vol.7, No.1. Collins, M. (1991) Adult education as vocational: Critical role for adult educator. London: Rontledge. Habermas, J. (1981). The Theory of Communicative Action.Vol.1: Reason and the Realization of Society. Boston: Beacon Press. Hargreaves, J. C. (2013). Teaching in the knowledge society: Education in the age of insecurity. New York and London: Teachers College Press, Columbus University. Ministry of Sports & Youth Culture, B. (2009). Botswana core welfare indicators survey. Gaborone. Ladipo, M. K., Akhuemonkhan, I. A & Raimi, L. (2013).Technical vocational education and training (TVET) as mechanism for sustainable development in Nigeria: Potentials, challenges and Policy Prescriptions. Presentation at CAPA International Conference held in Banjul. The Gambia, June 3-8. Okorie, J. (2001). Developing Nigeria’s workforce. Calabar: Page Environ publisher. Olabiyi, S. O. (2013). Impact of vocational training on youth empowerment scheme in enhancing employability skills towards sustainable economic development in South West Nigeria. Unpublished Paper Presented at African Centre for Research and Innovation International Conference. University of Ibadan. Ojimba, D. P. (2012). Vocational and technical education in Nigeria: issues, problems and prospects dimensions (IPP). Journal of Education and Social Research. Vol.2 (9), Page 23-30. Salmi, J. (2005). The role of STVHE in developing countries: World Bank perspective. Presentation made at the CIEP International Conference. Short-term Vocational Higher Education Challenges and Opportunities in the Context of Technological Change and Globalization. Paris, June 6-8. Shields, M., & Willits, F. K. (2003). The growing importance of the environmental horticulture industry in the agricultural economy of the Northeastern United States. Agricultural and Resource Economics Review, 32(2), 259-271. UNESCO (2004). 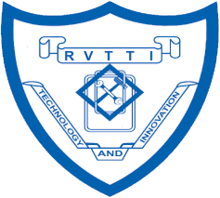 Improving access, equity and relevance in technical vocational education and training (TVET). Synthesis Report. Bangkok, Thailand. UNESCO, & ILO. (2001). Revised recommendation concerning technical and vocational education. Paris: UNESCO. World Bank. (2008). Transitions in secondary education in Sub-Saharan Africa: Equity and efficiency issues. World Bank Publications.